On the 11th (Wed), take in the natural beauty of Barton Springs Pool, take an in-depth tour of Bullock Texas State History Museum, and then ponder the world of politics at State Capitol. 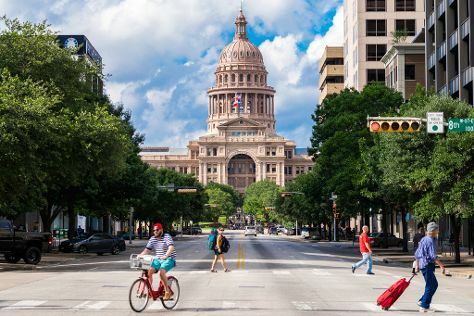 Get ready for a full day of sightseeing on the 12th (Thu): take in the views from Congress Avenue Bridge / Austin Bats, hike along Lady Bird Lake Hike-and-Bike Trail, then get engrossed in the history at LBJ Presidential Library, and finally admire the landmark architecture of The Driskill Bar. To see reviews, maps, photos, and other tourist information, read Austin trip itinerary maker. In October, daytime highs in Austin are 84°F, while nighttime lows are 62°F. Wrap up your sightseeing on the 12th (Thu) early enough to travel back home.